How much is Prince Azim Worth? 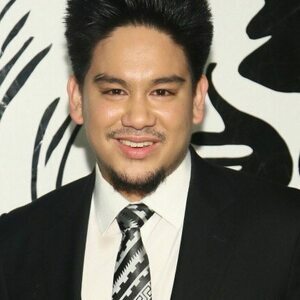 Prince Azim net worth: Prince Azim is the third in line to succeed the throne of Brunei who has a net worth of $5 billion. His Royal Highness Prince Haji Abdul Azim, affectionately known as Prince Azim, is the second born prince and the eldest child of His Majesty Sultan Haji Hassanal Bolkiah. Being one of the twelve siblings of the Brunei Royal family, he had the privilege to study in the best schools out there, including Leighton Park School in Berkshire and the Oxford Brookes University in Oxford, both in England. However, in order to infix greater discipline in him, the Sultan enrolled Azim on the nine-month officer training course of the Royal Military Academy Sandhurst, England. The Prince quit the course after one week, becoming the only member of the world's royal families to have such a short stint at Sandhurst. Maybe he was not cut out for attending a military academy, but he had no troubles becoming a well-known member of the Brunei royal family and a paparazzi favorite. Prince Azim is known for throwing star-studded parties, such as the 2009 "Party of the Year," where among others attended: Janet Jackson, Mariah Carey, Sophia Loren, Faye Dunaway etc. While in 2012, he threw a diva-fest bash once again to celebrate his 30th birthday. The party took place at The Dorchester Hotel, in London and was filled with divas of a certain vintage like: Raquel Welch, Faye Dunaway, Jerry Hall, Marisa Tomei, Pamela Anderson etc. But not all of his money go for organizing fancy-dress and luxurious parties, Azim is also a zealous charity activist. He was a guest of honor at the "Seeing is Believing" fundraiser and at the Sounds of Hope charity concert, both in Burnei. Also, he was one of the patrons of the UK charity Make A Wish Foundation.